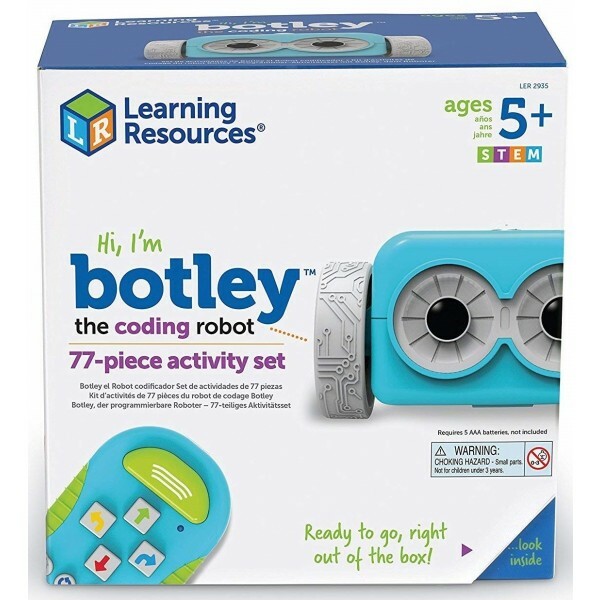 Meet Botley, the code to fun! Children as young as 5 can learn to code with Botley, and with its advanced features, it can grow with them for many years to come. Botley is ready to use right out of the box, and can be coded for up to 120 steps. Using smart logic, Botley can detect and avoid objects in its path, while following looping commands or tackling obstacle courses. You can also switch to black-line follow mode and set up paths for Botley to travel. Botley even has hidden features to unlock! 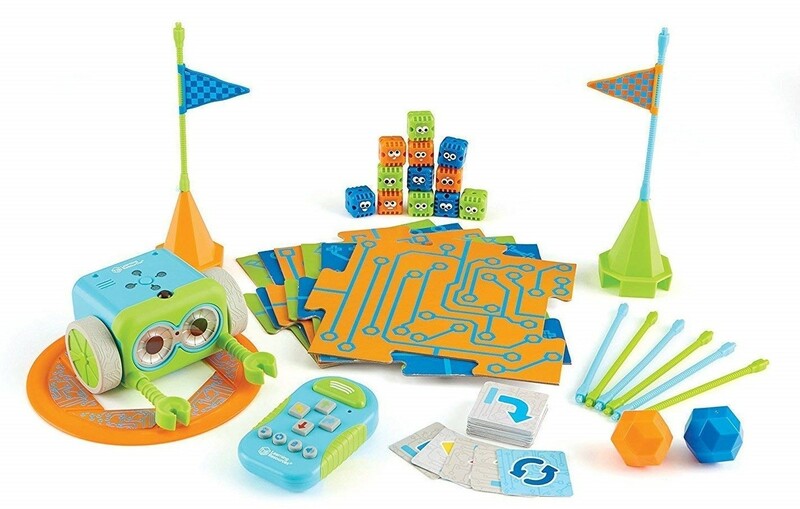 This set comes with Botley and a 77-piece activity set, which includes a remote programmer, detachable robot arms, 40 coding cards, 6 double-sided tiles, 27 obstacle building pieces and a starter guide with coding challenges. 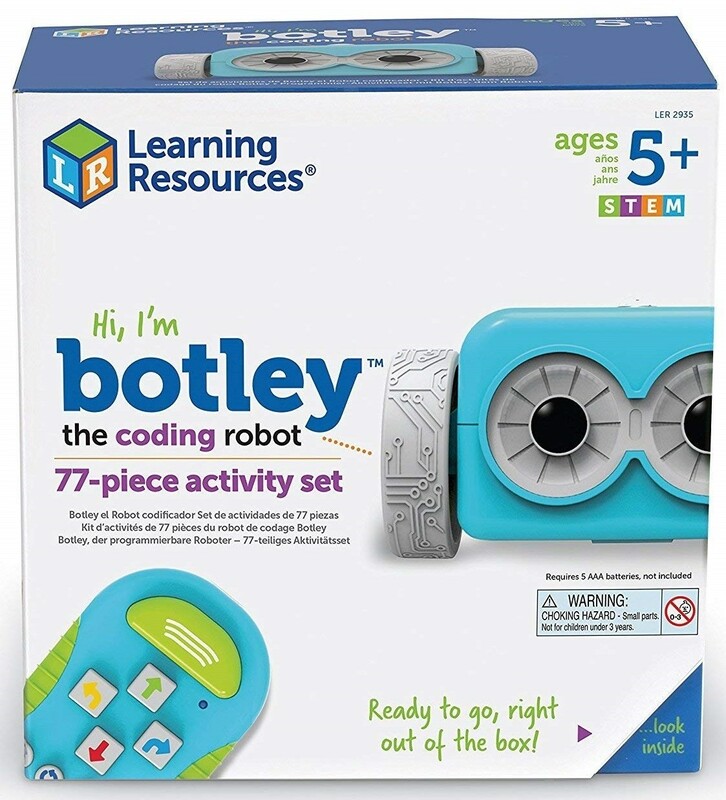 A Toy of the Year Finalist, Botley is also 100% screen-free with no phone or tablet required for operation, perfect for fostering kids' natural curiosity, creativity and problem solving skills.